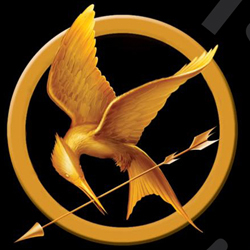 Getting amped for the release of the movie based on Suzanne Collins’ novel Hunger Games on March 23? If you’re a fan of the first book, this post is for you! Collins has said she was inspired to create this disturbing yet intriguing dystopia while watching TV one day, alternating between some shallow reality show and the Iraq war coverage. She wanted to help warn younger generations that “you should not be thinking of yourself as an audience member [of the war]. Those are real people on the screen, and they’re not going away when the commercials start to roll,” she said in an interview with School Library Journal. The story showcases the brutality of young Tributes fighting to the death juxtaposed with the superficial emphasis on appearance, glitz and glamour in the Capitol. But Collins also includes several real-life career elements in the story that we couldn’t help but notice —things like: career Tributes, district occupations, training centers, mentors, competition and much more. After all, job hunting is often survival of the fittest. Katniss was the first volunteer Tribute in the Hunger Games from District 12, the poorest of all the districts in the fictional Panem, and caused an unprecedented ripple since volunteers tend to come from the richest Districts. But for her, the benefit she gained (saving her sister’s life) from volunteering her own outweighed the cost by far. Lucky for you, volunteering your time and talent won’t result in looming doom! Instead, you have a lot to gain by lending a hand in new projects or a new company: enhance your resume, make new contacts, and sharpen your skills. Volunteering can improve your odds. The playing field for male and females is quite literally level in the Hunger Games — equal number of boys and girls are chosen to compete at random. Katniss is also a strong feminist role model: independent, skilled, fierce. The idea that a young girl (not a buff, burly man) volunteers her life to save a younger girl shows that women are capable leaders and revolutionaries! Today’s professional gender wage gap and shortage of female leaders seems to rightfully be a nonexistent issue in the world Collins created. Katniss is constantly watched on the big screen by all of Panem during the games, and folks are more likely to sponsor her with gifts during the game if she displays bravery. After all, “pity does not get you aid. Admiration at your refusal to give in does,” Katniss says. In the same way that Katniss highlights bravery, it’s in your best interest to project an image of confidence and professionalism both in person and online. When the Capitol asks the Tributes to showcase their greatest strength before the Games, Katniss knows that years of practice hunting alongside her late father is her biggest asset. She immediately identifies that Glimmer, the girl with the arrows, is incompetent with the bow and snatches them upon her death. Rather than trying to be great at a number of things, like Katniss, job seekers should put in hours practicing and perfecting one skill and become its master. It’ll be a huge asset. When Katniss sees fellow District 12 tribute Peeta fraternizing with the Career Tributes (those from the richer Districts, born and trained to win)—she’s enraged and looks to the frail yet agile Rue for support. Katniss with her trusted bow and arrow and Rue with her undeniable slyness make them a double-threat! Now, we’re not saying you should openly ask a colleague to form an alliance, of course. That would be weird. But, it’s always beneficial to seize opportunities to team up and collaborate with a coworker to produce a bigger, better results. Like Katniss, first observe and evaluate trustworthy partners! Repayment of debt is a huge for Katniss (it’s why she can’t shake that feeling of owing Peeta, who gave her bread to feed her starving family years ago). She also understands it’s why *spoiler alert* Thresh spared her life when he realized that Katniss was a friend to Rue, his district-mate. In both instances, Peeta and Katniss’ selfless, good deed pays off. Paying it forward will pay off in your career too! Put in a good word for a job searching acquaintance and you’ve got someone on your side who might, in return, help you in the future. You can’t help but share Katniss’ disgust with the Capitol’s grotesque indulgent behavior while the rest of Panem is barely surviving as they watch their children fight to the death — for no reason other than to remind them they are helpless against the cruel regime. Peeta and Katniss ultimately work together to try and show up President Snow and the Capitol. But both are wary of what they say – speaking too far out of line could result in execution. Or in your case, termination! That in mind, if you have a particularly horrible boss (belittling, inappropriate or immoral)—don’t put up with it, find another job ASAP! Katniss and Peeta would have never survived without the sound advice from their district mentor, Haymitch. He advised they showcase an ill-fated love story between the two. He knew that, if convinced, the crowd would root for them, resulting in essential gifts (like broth) parachuted into the arena. While Katniss and Peeta market themselves as heart-warming lovers, it’s up to you as a professional to sell your potential employers as well! What makes you the best possible investment than any of your competitors? Marketing yourself is a core skill that every professional needs—but, unlike Katniss and Peeta, don’t try to convince potential employers of something that’s untrue (though some might argue that their charade is very much real!). Ready to take a Hunger Games approach to your career? CareerBliss has millions of jobs.